No Rush – No Traffic. 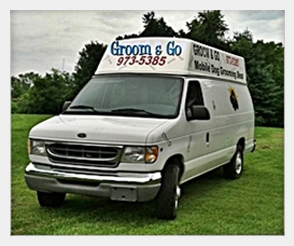 Groom & Go is a family owned, Pet Grooming business for over 28 years, serving the Knoxville, TN area. We Make Pet Grooming a satisfying experience for you and your pet! We come to you in our custom built, fully self contained shop on wheels. You tell us the address, give us a level place to park and your dog to groom… we take care of the rest! 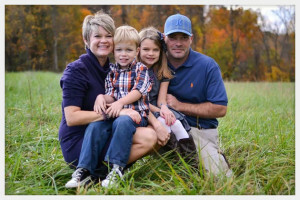 Groom & Go has been a family owned business for over 28 years. Originally started by my father in 1986 as Knoxville’s 1st Mobile Pet Grooming shop, it was then operated by my sister, Cheryl for 5 years. When Cheryl married and moved away 15 years ago, I took possession of her business and have successfully managed and operated it since then. We use only the finest ALL NATURAL coat care products available. Espree Animal Care line consists of pesticide free shampoos and coat conditioners blended with the finest natural ingredients as an alternative to harsh chemicals. These are particularly helpful for dogs with sensitivities and allergies. Dog grooming has been a very rewarding and totally enjoyable experience for both of us. We really look forward to meeting you and your pet! No Rush – No Traffic. Your car remains clean. Your Dog gets instant One-One Attention, at your Location.